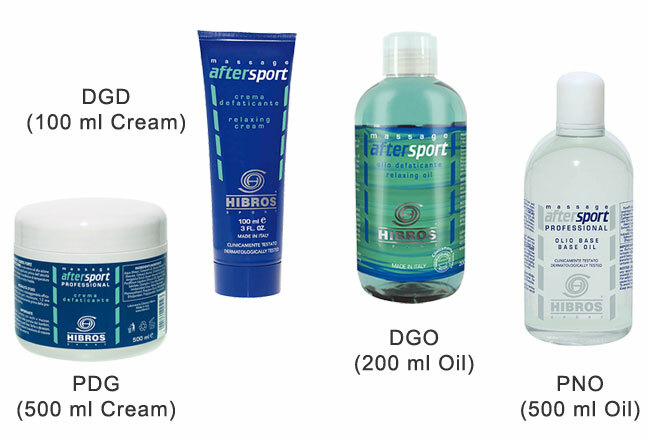 Hibros Aftersport Oils and creams are cool down skin oil/creams with revitalising action; when rubbed carefully on to the skin after physical exercise, it relaxes muscles to leave the skin tropic, soft and smooth. lemon essence, it stimulates the circulation creating an emollient, hydrating and decongestant effect. Without cooling substances.